Mouth rinses can have therapeutic benefits; others are only cosmetic in nature. Some have both attributes. The Food and Drug Administration even classifies mouth rinses this way. In general, some therapeutic rinses with fluoride have been shown to actually fight cavities, plaque and gingivitis formation. 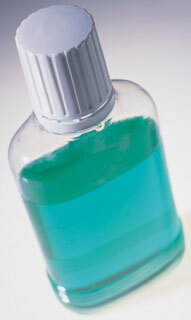 On the other hand, cosmetic rinses merely treat breath odor, reduce bacteria and/or remove food particles in the mouth. In any case, make sure to look on the label of a mouth rinse to see that it is accepted by the American Dental Association. Surgery or oral disease can sometimes lead to complications for which a good quality therapeutic rinse is indicated. Even people who have difficulty brushing (because of physical difficulties such as arthritis) can benefit from a good therapeutic mouth rinse. Caution: Even rinses that are indicated to treat plaque or cavities are only moderately effective. In fact, regular rinsing with water and use of good quality fluoride toothpaste are actually just as or more effective.